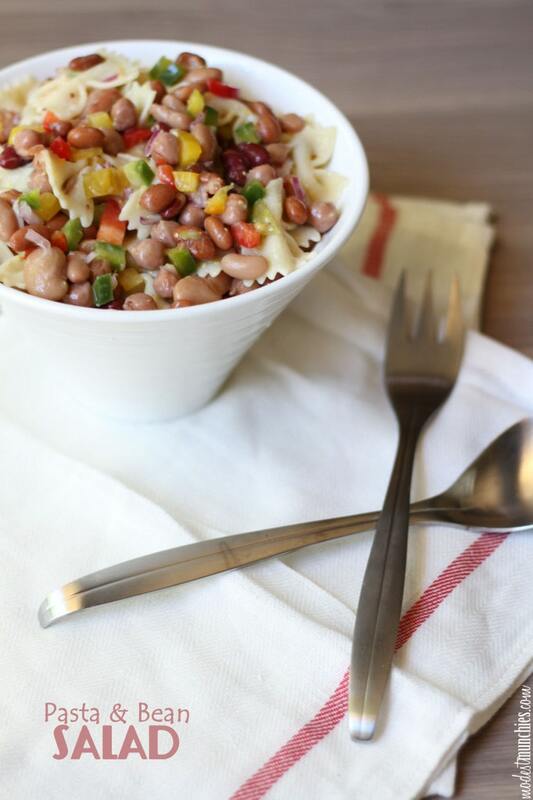 Here’s something a little different from the standard pasta salad, I kicked it up a notch with the addition of a five bean mix. It’s adds a nice touch as well as making the salad a little more wholesome and healthy. I know pasta salad tends to be more of a summer BBQ dish, but we’ve been having such beautiful weather here lately, cool air and warm sun. I was also going to say that it’s a great autumnal dish, but apparently it’s already Winter. How did that happen? Cook your pasta as per packet instructions, make sure your pasta is aldente, soggy pasta is no good for a pasta salad. Finely dice your onion and chop your capsicum into tiny cubes. Make your dressing by mixing together the mayonnaise, salad dressing and salt. 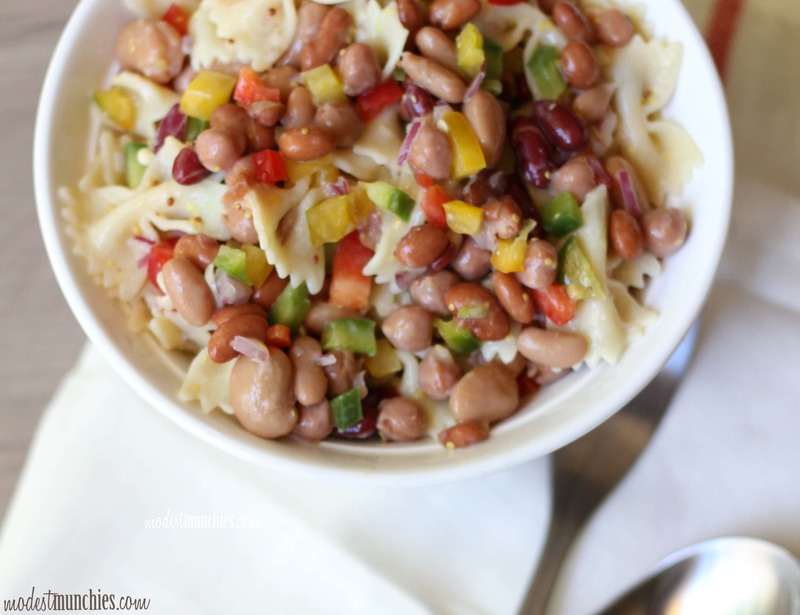 In a bowl combine your pasta, canned beans, onion and capsicum. Drizzle on the dressing and give it all a good mix. Previous Post: « How to make cake pops! It may be winter for you but we are in throes of summer 😉 This would make a lovely addition to an iftar spread! Nice idea, going to try to include more salads into our Ramadan meals (attempt to keep it healthy).